The social taboo which discouraged unmarried women from having children is clearly no longer in play in Orlando. Today, 40 percent of Florida babies are born out of wedlock. The percentage is even higher among non-white people (53 percent among Latinos and 71 percent among blacks). If you were the father of an out-of-wedlock child and the birth certificate states that you are the father, you have already taken a giant step forward in terms of establishing parental rights. But a name on the child’s birth certificate is not enough, unless the father and mother were legally married at the time. There are a number of different ways to establish legal paternity in Florida, and a number of different reasons for doing so. Here are some of the best reasons. First and foremost, if you are not the child’s legal father, you have no legal visitation rights. The mother may unilaterally allow such visits, but she can also unilaterally pull the plug at any time and for any reason she sees fit. Furthermore, in most cases, only legal parents may obtain child custody in Florida. If you think such a move might be desirable or necessary at any time in the future, it’s best to lay the groundwork now. The same rules which govern informal fathers’ relationships with their children also apply to information about their children. Such information includes report cards and juvenile court proceedings. Perhaps more significantly, such information also includes civil court proceedings, like adoptions. On a visitation-related note, informal fathers are almost never on an organization’s mailing list for school plays, field trips, awards ceremonies, and other special events. Child support is not really the issue here. Most fathers pay child support whether there is a court order to that effect or not. 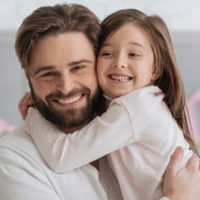 However, if there is a legal paternity declaration, the state keeps track of child support payments, so there is little risk of a dispute with the mother. Instead, the issue involves life insurance and other inheritance matters. If something unexpected happens to informal fathers, their children have absolutely no inheritance rights. Most people have a family history of cancer, heart disease, mental illness, or some other chronic disease. Unless doctors know the father’s medical history, they will probably know nothing about this background, so inaccurate diagnosis and treatment is quite common. Additionally, only legal fathers may place children on their health insurance policies, at least in most cases. The stress of arguing over timesharing and wondering what you and the other parent are doing with the kids from week to week or day to day is not only incredibly stressful to you as a parent but to the children as well. In addition, when timesharing and other parenting issues have not been previously established by a court it can lead to arguments between the parents and can cause the child to be placed in the middle of the situation. These issues can be avoided by filing a paternity action and establishing a detailed plan for timesharing and related child issues. There are some extremely good reasons to establish legal paternity as quickly as possible. For a free consultation with an experienced family law attorney in Orlando, contact Anderson & Ferrin, P.A. We routinely handle matters in Orange County and nearby jurisdictions.